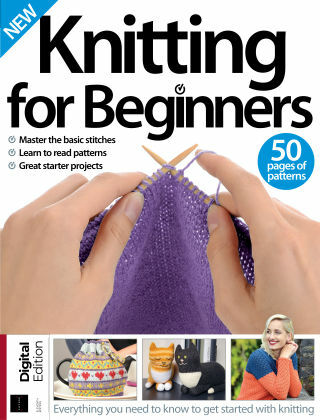 With Readly you can read Knitting for Beginners and thousands of other magazines on your tablet and smartphone. Get access to all with just one subscription. New releases and back issues – all included. "Knitting is a skill that is as popular as ever. Whether you want to make unique jumpers, scarves and hats or knit boots and hats for babies, there are plenty of ideas here. What's more, no experience is needed, as we'll guide you through the various stitches with step-by-step instructions and clear pictures. 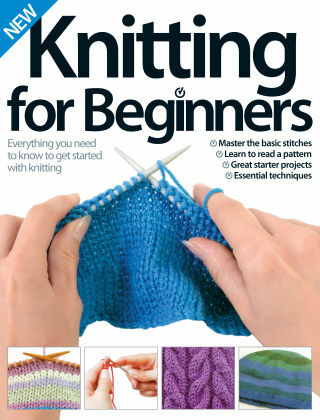 Grab your needles and get ready to knit! . Featuring: Tools and materials - Make sure you are properly equipped before you start knitting. Techniques - From the basic knit stitches to the finishing touches, discover the techniques you need. Projects - Learn how to knit hats, scarves, gloves and more. Stitch patterns - Create different designs within your knitting, from the fisherman's rib to the broken moss stitch."